The first signs of aging often appear on your face. 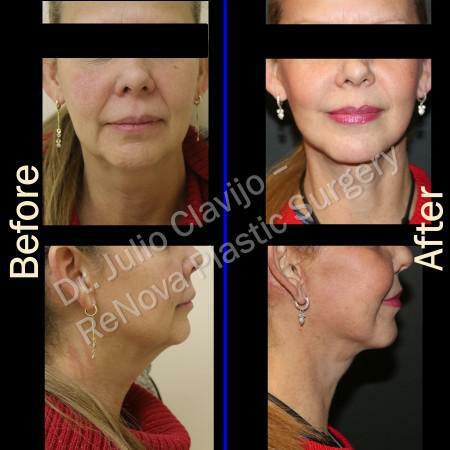 At ReNova Plastic Surgery & Medical Spa in Warrendale, Monroeville, and Pittsburgh, Pennsylvania, Julio Clavijo-Alvarez, MD provides several facelift procedures to combat aging facial skin. A facelift can tighten sagging skin and smooth away wrinkles to produce a more youthful appearance. 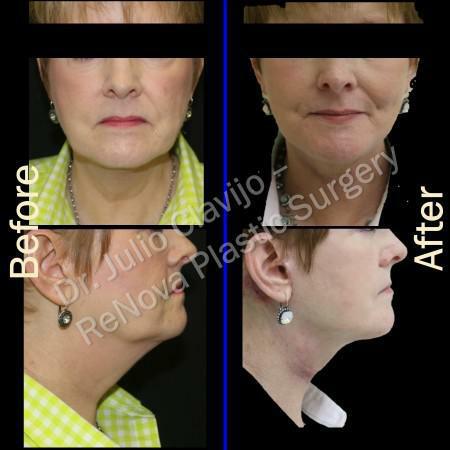 Dr. Clavijo-Alvarez also offers mini facelifts for patients seeking a shorter recovery time. To learn more about available facelift procedures, call ReNova Plastic Surgery & Medical Spa today or book a consultation online. Facelifts can rejuvenate your appearance and produce more youthful-looking skin. A wide variety of facelift procedures are available. Your plastic surgeon can use several different techniques depending on your aesthetic goals. A full facelift is a more extensive procedure. It's ideal for patients experiencing significant facial sagging or clear signs of aging. A mini facelift is a modified procedure that's less invasive. Mini facelifts are an excellent option for patients who want to address the first signs of aging. What cosmetic concerns does a facelift address? Facelifts complement many other cosmetic procedures and treatments. BOTOX® or dermal fillers help to boost the effects of many facelift procedures, and laser skin treatments can also improve your skin tone and texture. During your consultation, Dr. Clavijo-Alvarez can help you develop a treatment strategy that meets all your cosmetic concerns. The details of a facelift procedure vary based on which cosmetic concerns are being addressed. A full facelift often takes three to five hours, while mini facelifts are often completed in under two hours. Most procedures are performed on an outpatient basis, but some patients might need to stay overnight. After your surgery, Dr. Clavijo-Alvarez and his team provide detailed discharge instructions and regular follow-up appointments. The typical recovery time is one to two weeks, but you might need to avoid intense physical activity for up to six weeks. Most patients can return to work and other daily activities within two weeks. Facelift procedures provide long-lasting results. The results of a full facelift last up to 10 years, while results of a mini facelift usually last five to 10 years. As you age, it's normal for some effects of the facelift to disappear. But cosmetic treatments like BOTOX or dermal fillers can help preserve your results. Dr. Clavijo-Alvarez can provide guidance on follow-up treatments that can keep your skin looking young. Surgery costs can vary. Your final price will depend upon which surgeon you chose, what procedure you select, and your geographic area. Facelift procedures in the Pittsburgh area typically range from $6,500–$18,000. Ready to learn more about how facelifts can enhance your appearance? 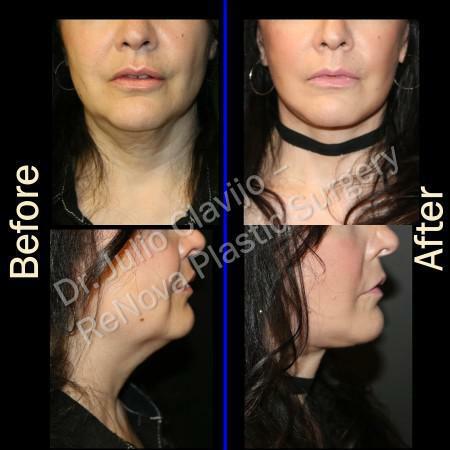 Call ReNova Plastic Surgery & Medical Spa today or book a consultation online.